Make your own Fermented Drinks! Fermented drinks can be made at home. The satisfaction that you have created your own fermented beverage can be satisfying and also save you money. Learn correct techniques with this 20 hour short course. Work through the course in your own pace. On successful completion of short online tests at the end of each lesson, plus an online exam at the conclusion of the course; you may be awarded a certificate of completion (if you achieve a 60% pass in the exam). This course contains 10 lessons. What Is Involved In Winemaking? At the end of each lesson, you will be given a short interactive test to undertake, which will provide an indication of how your learning is progressing. Upon completing the very last lesson, you will be offered a more thorough automated test or examination. If you achieve an overall pass; in this final assessment, you will be able to obtain a "Certificate of Completion", which will have your name on it. 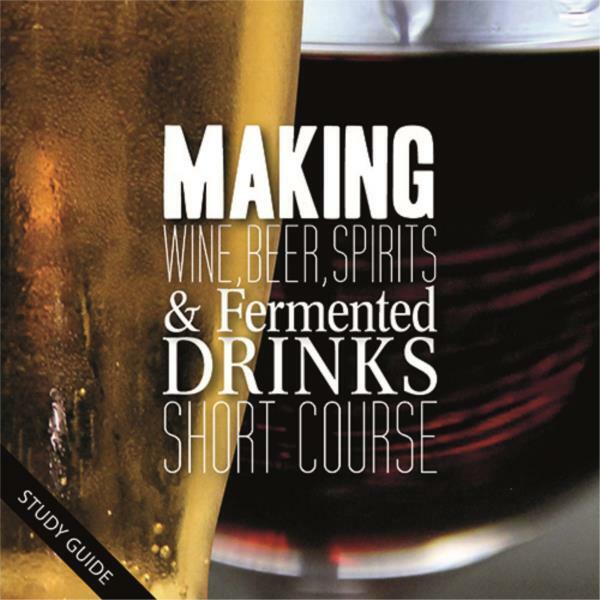 Professional development or staff training for anyone who works in brewing or wine making. Anyone working in wholesaling or retailing of brewed drinks - this course provides a deeper product knowledge and can be valuable training for business owners and staff alike. Anyone seeking to fill in gaps in their own knowledge. Anyone with a passion for brewing or wine making.